You’ve probably heard about aloe vera (also just called Aloe), a plant that is used in all sorts of cosmetics. It is also found among the ingredients in shampoos, hydrating and healing creams, balms, shower gels and many others. Aloe Vera is a succulent plant from warm climates that contains leaves filled with a gel of multiple properties. It has been used for over 5000 years, and the name figures on the oldest Egyptian manuscripts discovered even recently, notably the famous Ebers papyrus, the most ancient medical document found to date. Aloe Vera is rich in antioxidants, vitamins and enzymes. It contains softening and hydrating properties for the mucous membranes of the body. This amazing plant comes from arid areas where it can stock water in its leaves. That being said, water is the main element of the leaves and represents 98 to 99 % of the overall weight. The dry matter, which is therefore only 1 to 2%, is made up of polysaccharides. The Aloe Vera leaf contains well over 75 active components (polysaccharides, phenolic compounds, organic acids) as well as 20 minerals, 20 amino acids and 12 vitamins. The principle and secondary metabolites are anthrone and chromone phenolic compounds. Despite the numerous studies carried out on this plant, it is difficult to identify one or more precise active elements responsible for its properties; Aloe Vera has not yet finished telling us its secrets. High-quality Aloe Vera may be applied directly on the skin, but using it in a form of juice or drinkable gel is more and more recommended, thanks to the beneficial actions within the body, particularly within the digestive system. Note that homemade extract from Aloe Vera leaves may only be used topically, directly on the skin, as the leaf contains ingredients that may be harmful if swallowed. 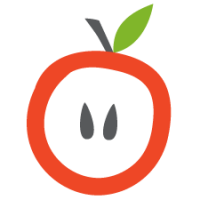 The juice and gel produced to drink must be prepared by a responsible company that can ensure that their product does not contain any harmful ingredients. The gel is simply jellified juice to which thickening agents or gum has been added. 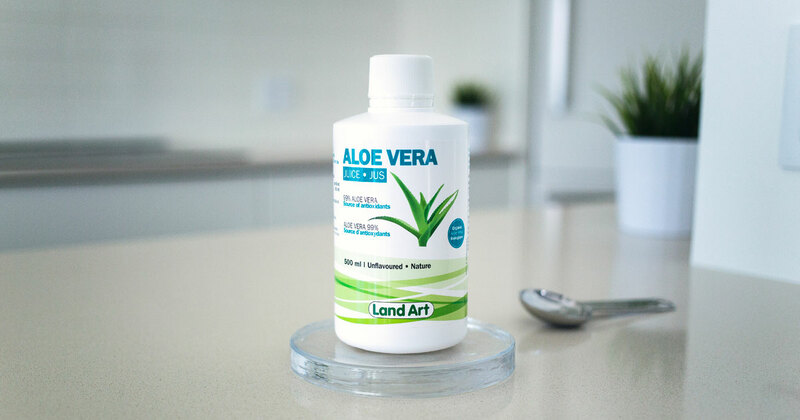 Among the known virtues, Aloe Vera helps to relieve heartburn and gastric acid, and also helps to reduce bloating and inflammation, improves the efficiency of digestive functions, provides rare and essential nutrients, improves vitality, resistance, circulation and naturally eliminates toxins. The specifics of polysaccharides make Aloe Vera a very effective antioxidant. Transformed without aloin and offered as a gel or as a juice, Aloe Vera is not harmful, even for long-term use. Quality is vital. Look for pure gel and juice that has been cold extracted from controlled organic plants. This process must be respected throughout the treatment of the product, even after bottling. Look for a product that is not pasteurized. Make sure the gel is made with xanthan gum or carob bean gum to be sure that it’s cold extracted. Avoid gels that are made with carrageenan or Irish moss, they are heat soluble and may cause serious health problems as shown by recent studies. Also, avoid beverages that do not contain much Aloe vera as they are generally drinks that do not contain real Aloe Vera; they contain large doses of sugar and may be harmful to your health. Read the ingredient list; certain products are called Aloe Vera juice, but barely contain any Aloe Vera at all and are generally diluted with other juices. To discover our range of Aloe Vera products, this way, please! 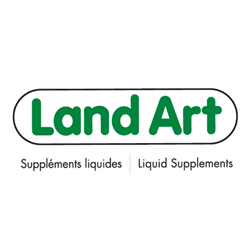 Land Art est le leader canadien des suppléments naturels liquides. Nous vous offrons plus de 70 produits pour répondre à tous vos besoins. Notre usine situé à Varennes est certifié par santé canada et Écocert. Nous disposons d’un personnel dévoué et hautement qualifié (chimistes et biochimistes, nutritionnistes, microbiologistes, aromaticiens, etc.) pour répondre aux interrogations des utilisateurs, qu'il s'agisse de l’utilisation des produits ou de leur composition.